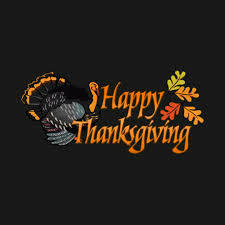 What is your most memorable Thanksgiving Day? A happy time with family and delicious treats? Or a fight over the meal with an opponent? Or was it darker? 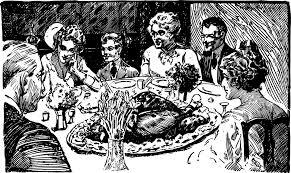 Were you visited by a guilty soul at your Thanksgiving meal? 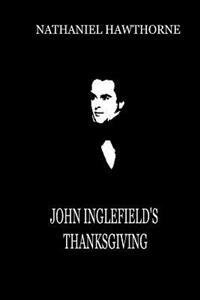 In this 15-minute short story by Nathaniel Hawthorne, on Thanksgiving evening, the blacksmith John Inglefield hosts a Thanksgiving dinner. 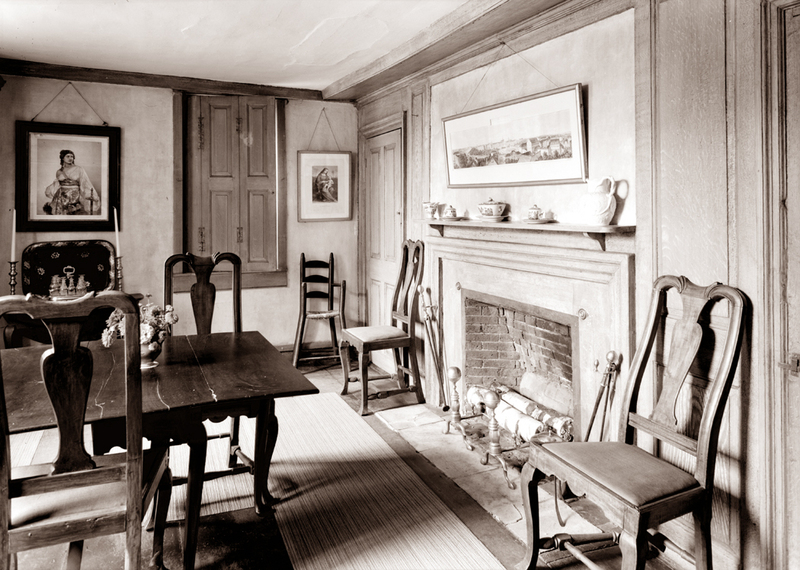 His daughter Mary “a rose-bud almost blossomed” is present, an apprentice Robert Moore, and a vacant chair is reserved at the table for John’s wife who had passed away since the previous Thanksgiving. To say this is a ghostly tale is up to interpretation, that is how deep you desire to understand metaphors of the mysterious. 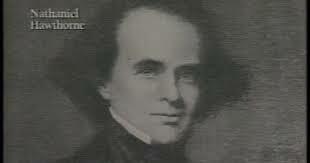 The author Nathaniel Hawthorne takes the family Thanksgiving tradition to another level. That level is clearly in the supernatural and as dark as it gets. I doubt that most readers can fix this story into a single interpretation. No black-and-white thinking here: prepare to awaken your imagination. 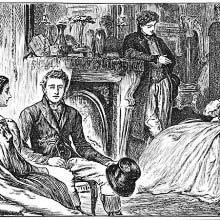 They are all seated round the dinner table with the warmth of the firelight “throwing it strongest light,” when John’s long lost daughter Prudence returns home for the festivities. She has a “bewitching pathos.” The theme here is beyond the grave. Fire is mentioned 14 times in this very short story—which is our dominant clue to this strange and thought-provoking tale about not only the soul but going home. 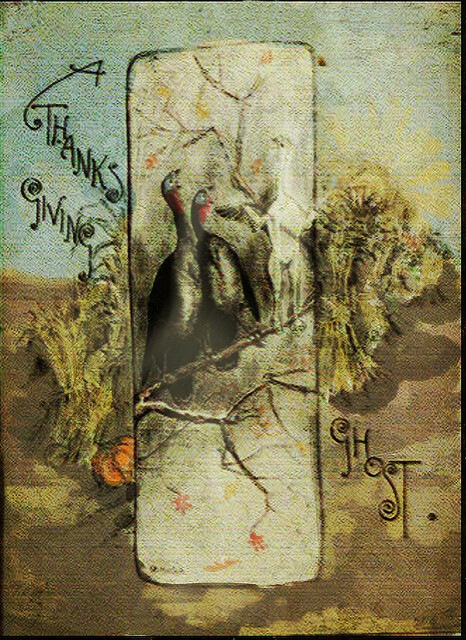 The happy moments fly away as a creeping evil comes to Thanksgiving dinner. Our humanness is strange, indeed. 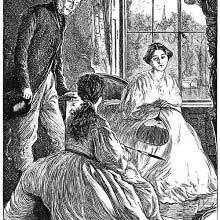 I love how Hawthorne leaves all the doors open on this one to absolutely haunt the reader. If you are a Hawthorne fan, or even if you are not keen on his gloomy style and psychological twists, this story requires a slow read to really enjoy the complexities of the images and symbols Hawthorne uses to touch his reader. As with all his fiction, human nature is portrayed with unforgettable drama. If you have a comment on this story, please speak up. What great mystery went on here? 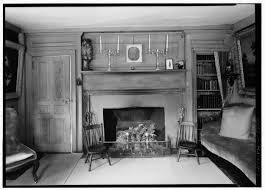 This is the Nathaniel Hawthorne’s dining room and hearth at the Old Manse, where he lived in Concord, Massachusetts.